Goshen College, established in 1894, is now a private, coeducational, four-year, residential, Christian college of the liberal arts and sciences rooted in the Anabaptist-Mennonite tradition. The campus has flourished from less than 50 acres to 135 acres with 20 major buildings. Facilities includes 1,150-acre Merry Lea Environmental Learning Center, Marine biology facility in Florida Keys and $24 million, 68,000 sq. ft. music center among others. The college offers 35 majors and 33 minors of academic study, 14 teacher certification programs, 9 pre-professional programs and 6 certificate programs. Undergraduate degrees includes Bachelor of Arts degree, Bachelor of Science in Nursing degree and Bachelor of Science in Organizational Leadership degree. Goshen College is accredited as a standard four-year college by the North Central Association of Colleges and Secondary Schools and is classified as a National Liberal Arts I (B-I) College by the Carnegie Foundation. 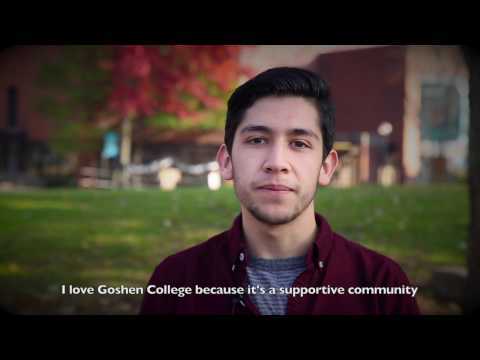 Giving Tuesday: What do you love about Goshen College?